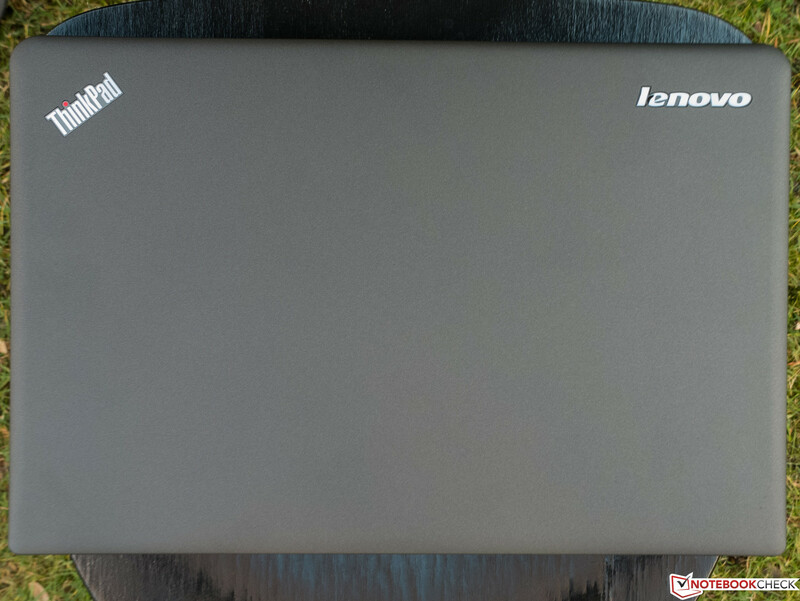 Does Lenovo's new ThinkPad Edge E540 series meet the requirements for an inexpensive business notebook? 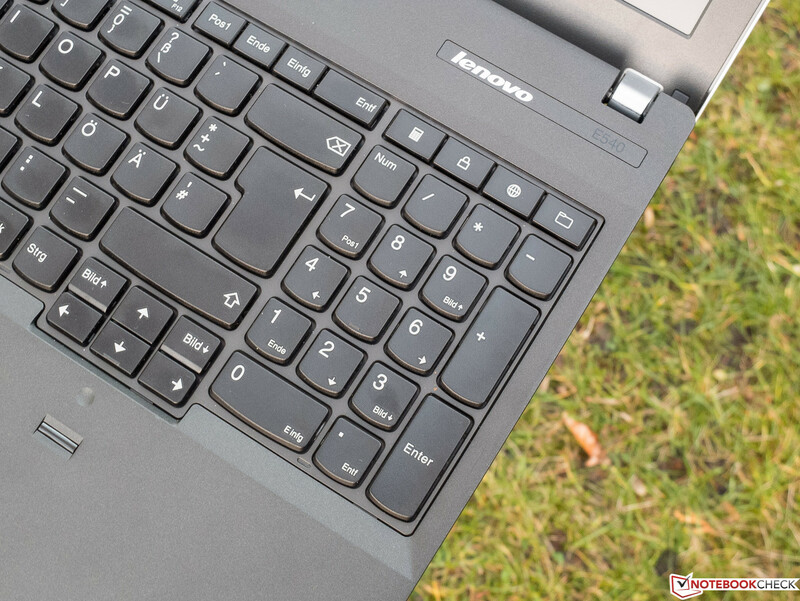 Lenovo offers several versions of the E540 notebook. When we checked the pricing at the time of writing, we found eight different black (or gray) models with different CPUs, displays (resolution, touch and non-touch), RAM, storage (HDD, HDD + SSD cache, capacity), GPU (integrated or dedicated), and OS version. Lenovo's homepage also offers a red version, one with a 128 GB SSD, two different WLAN modules, and a higher-capacity battery. As of 01.09.2014, the prices range from 520 Euros to 1084 Euros (between ~$700 and ~$1500). We will use two current business notebooks for comparison purposes. The first is the Dell Latitude 3540, which comes equipped with the more frugal Intel ULV CPU Core i5-4200U, a dedicated AMD Radeon HD 8850M, which improves the gaming experience, and a display with Full HD resolution, the only such display in this comparison group. The HP ProBook 450-H0V92EA, which sells for about 540 Euros (~$740), is the cheapest of the bunch. HP's offering is equipped with a previous-generation Ivy Bridge Intel Core i3-3120M, while the other two notebooks feature Haswell hardware. 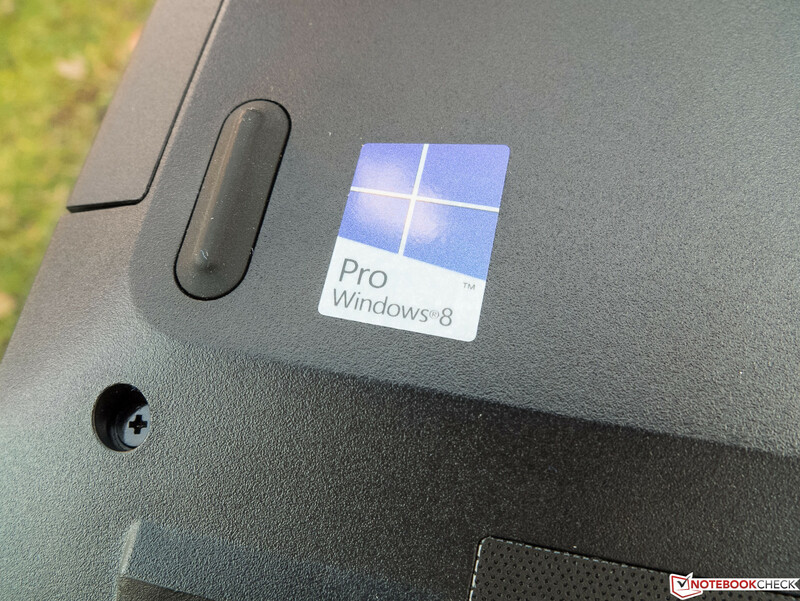 Otherwise, the ProBook is quite similar to our review model. 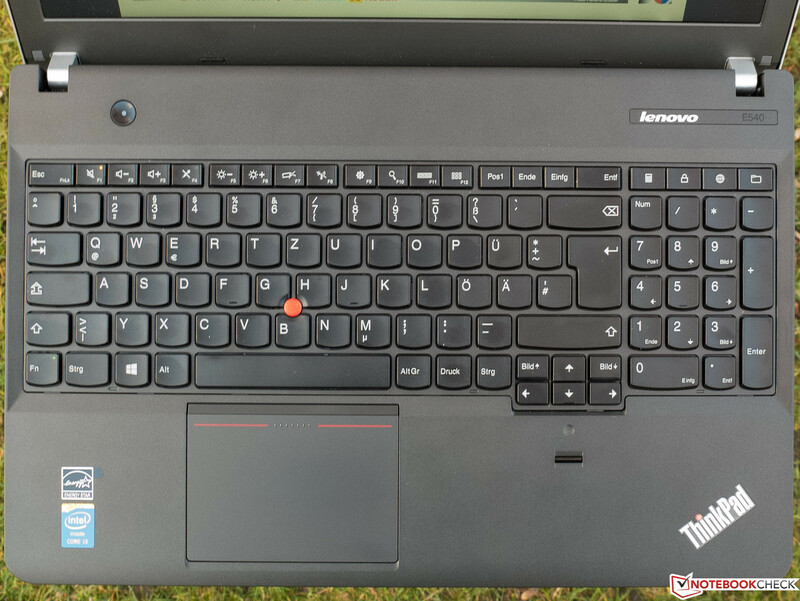 How the Lenovo ThinkPad E540 20C60041 handles daily office-type tasks and how it compares to its competition is the subject of our comprehensive review. Gray plastic everywhere. 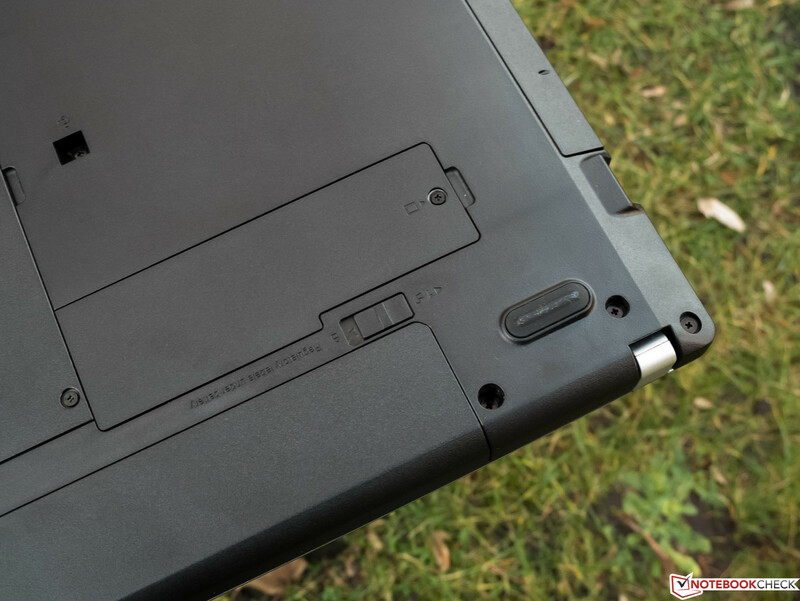 The business-like exterior already hints at the ThinkPad Edge's primary purpose. The back of the lid and the bezel feature a soft-touch finish, which unfortunately is susceptible to fingerprints. The same is true for the upper deck, which also makes use of the same silky color, but feels a bit smoother to the touch. The bottom of the notebook, which is dominated by two maintenance hatches and plenty of cooling slots, is black and textured to prevent slippage. The base can be twisted with moderate force, but it still appears quite solid, thanks in part to the very decent build quality. Optical highlights are the two logos on the lid and the base, which feature an LED-lit dot over the "i", as well as a small silver strip, which surrounds the outside edge of the display. 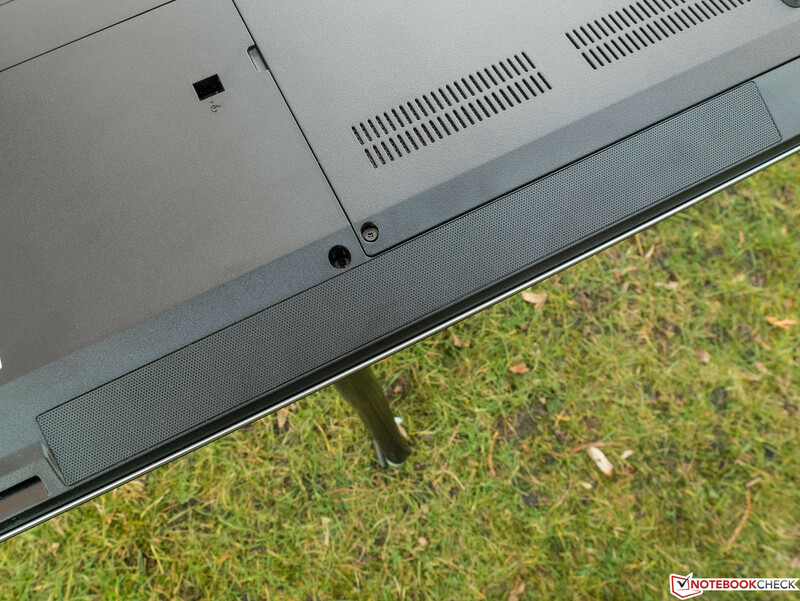 The feet are rubberized to prevent slipping and Lenovo thoughtfully included dust filters behind the cooling vents. 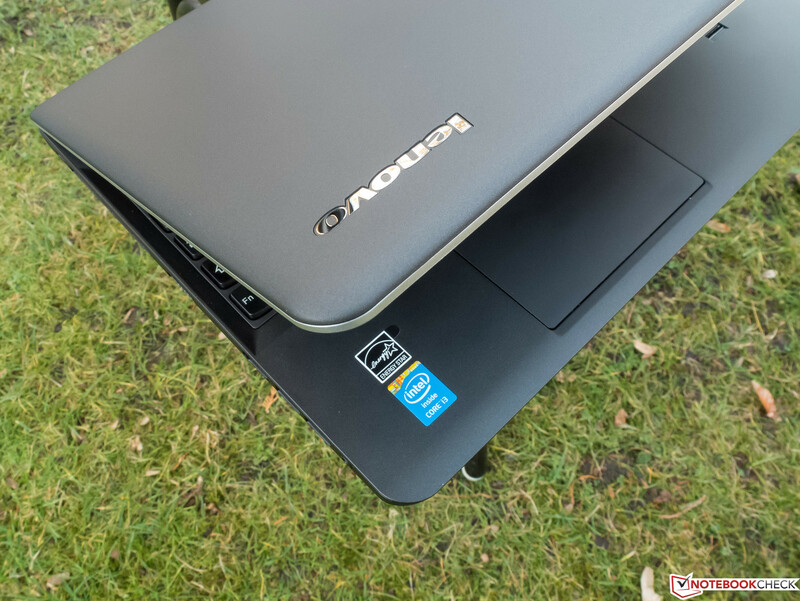 With a weight of 2.4 kg (~5.3 pounds) and a thickness of almost 3 cm (~1.2 inches) the E540 is, just like the two competitors, a fairly heavy and thick 15.6-inch notebook. ...but at least the user doesn't have to unplug cables all the time. The port selection is adequate and meets the expected class standards, but does not go beyond. A DisplayPort or an eSATA port is lacking, but the notebook comes with a - at least in the business segment - still indispensable VGA port, which dates back to 1987. 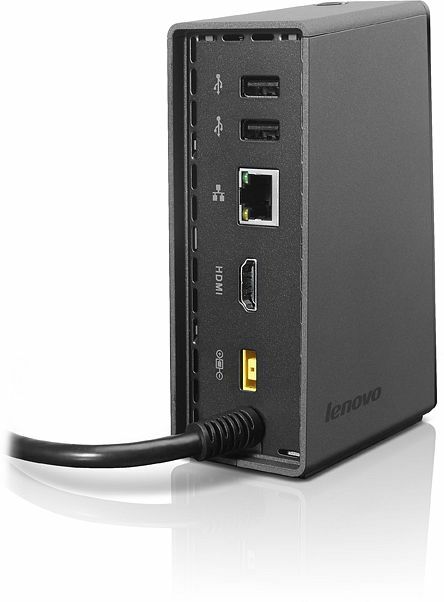 Because of the form factor, Lenovo was able to include standard-sized ports, so no adapters are needed. 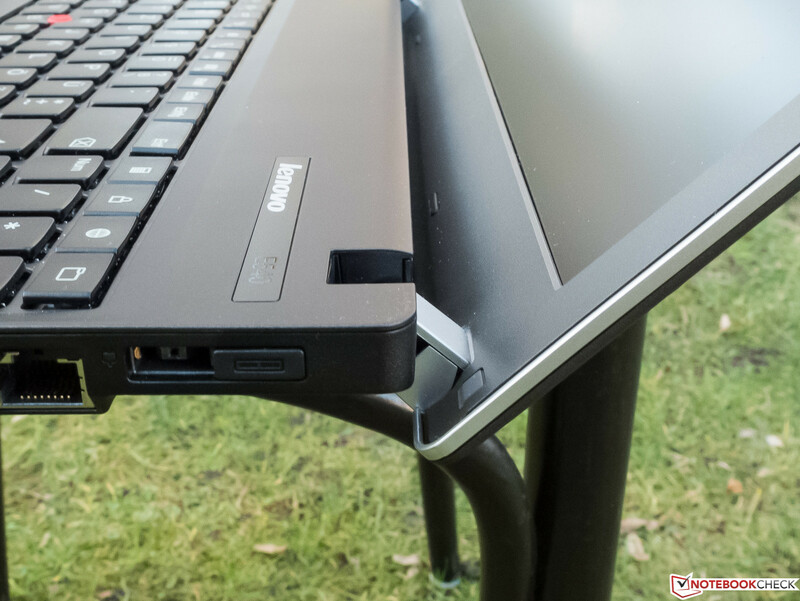 The port placement is less than ideal and not very ergonomic, as most ports are located towards the front of the notebook, which can lead to a crowded workspace when USB devices and cables are plugged in. 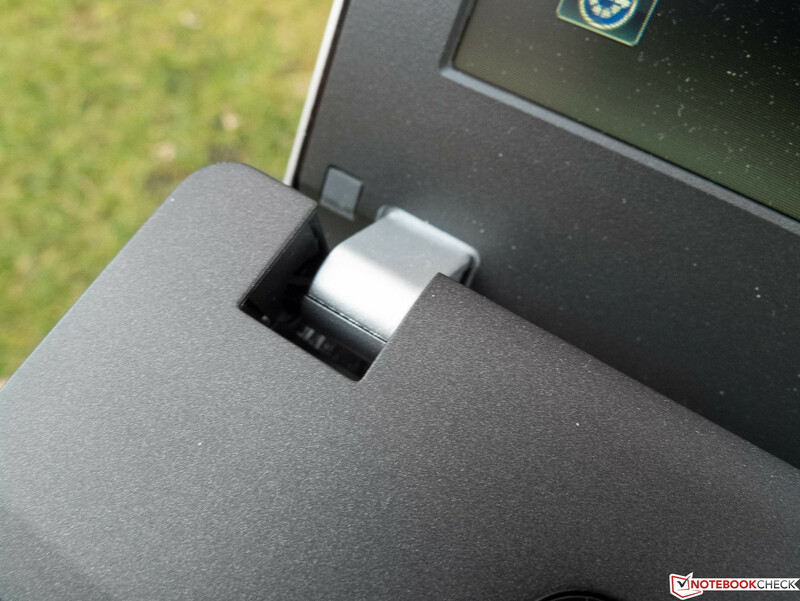 One of the distinctive features of the E540 is the universal power connector OneLink, which also allows the optional port replicator OneLink Dock to connect. 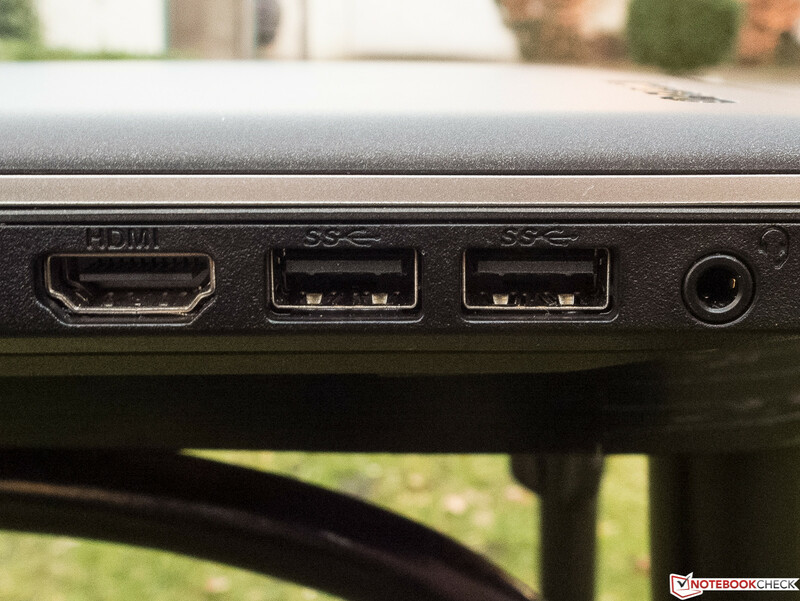 The OneLink Dock features, among other ports, also a separate monitor connection. When we copied a large data file using one of USB 3.0 ports, the resulting transfer speed met our expectations. 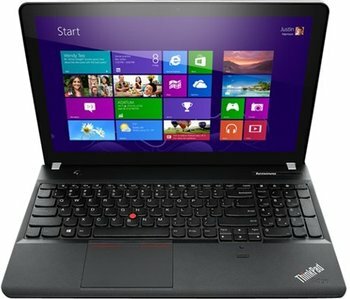 As far as hardware accessibility is concerned, other notebooks should copy the design of the E540. The Intel Dual Band Wireless-AC 7260 WLAN module is not only able to handle regular Wi-Fi transmission modes and Bluetooth 4.0, but also the upcoming, not yet completely ratified standard IEEE 802.11ac. In addition, the module can also transmit and receive via the less utilized 5 GHz band. 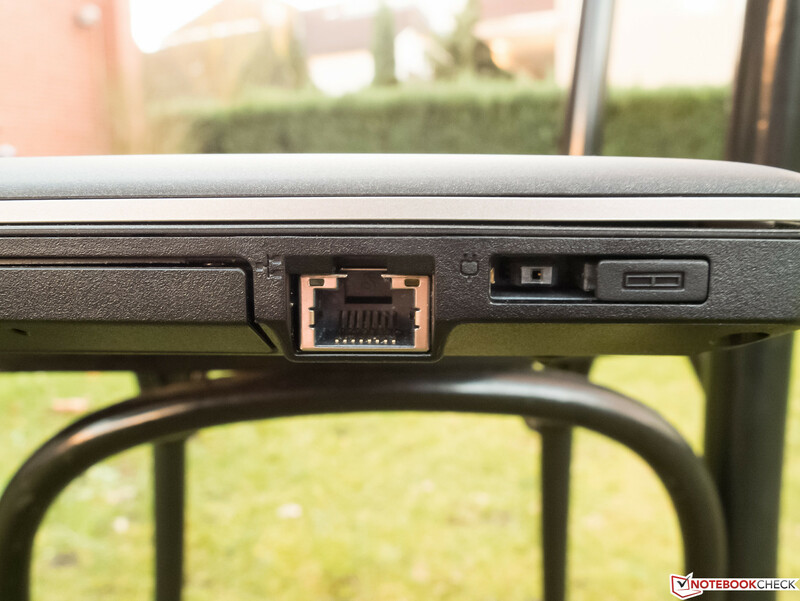 Those who want to take advantage of the more advanced wireless should pay attention when ordering, since Lenovo also offers versions of the E540 with a regular WLAN module. 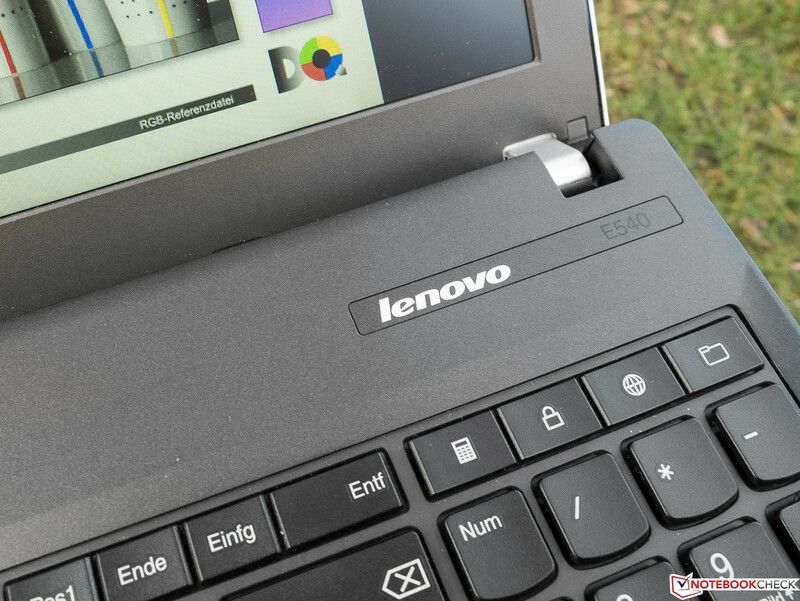 The only hardware-based (and optional) security feature Lenovo offers is a fingerprint reader. 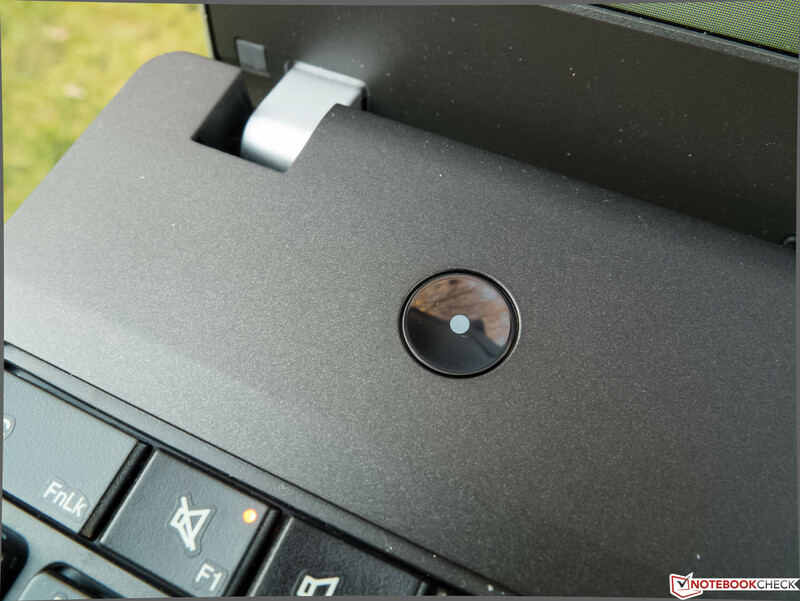 Our review model was equipped as such and we had no issues configuring the reader using Lenovo's Fingerprint Manager. We should point out that the fingerprint reader is used for logging on to Windows - the user either enters the password or uses the reader, which in turn processes the logon. Since the Windows password can be hacked easily with certain tools, the overall security is not enhanced at all. In fact, this alleged security feature is really just a (frequently seen) gimmick. 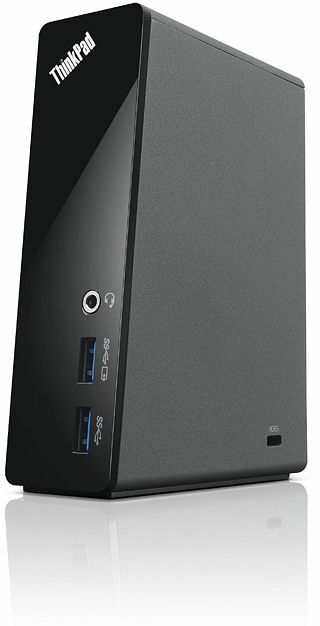 Lenovo offers additional accessories as seen here (please note that this link points to the identical accessories offered for the E531 in the US and not the German E540). Of interest are the higher-capacity battery with 62 vs. 48 Wh and the port replicator. Our review model only shipped with a few pamphlets as well as recovery media for Windows 8 and the preinstalled applications. 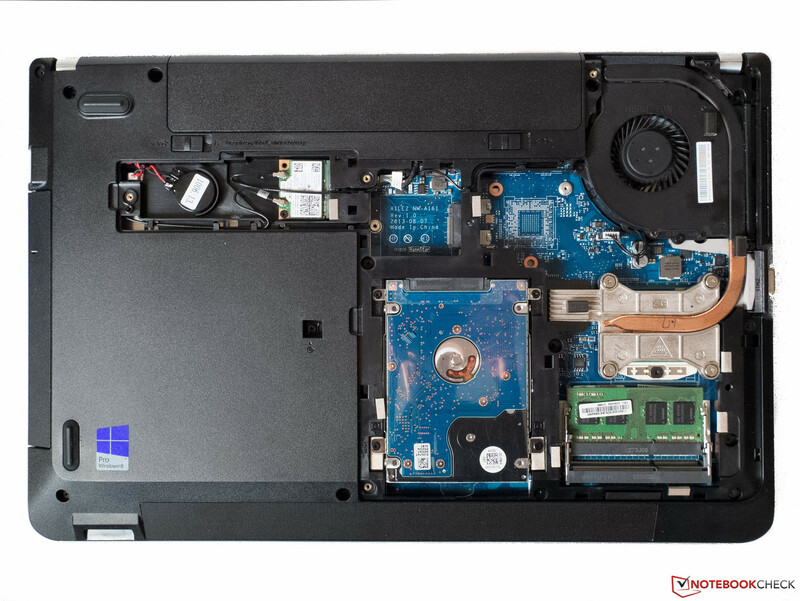 Exemplary: as seen in the photo, two maintenance covers provide access to the BIOS battery, the WLAN module (smaller cover), as well as HDD, RAM slots, and fan (large cover). This is as good as it gets. Lenovo supplies the E540 with a one-year depot & carry-in warranty against manufacturer's defects. Additional warranties for up to five years of coverage, in-home service, and accidental damage protection can be purchased if so desired. 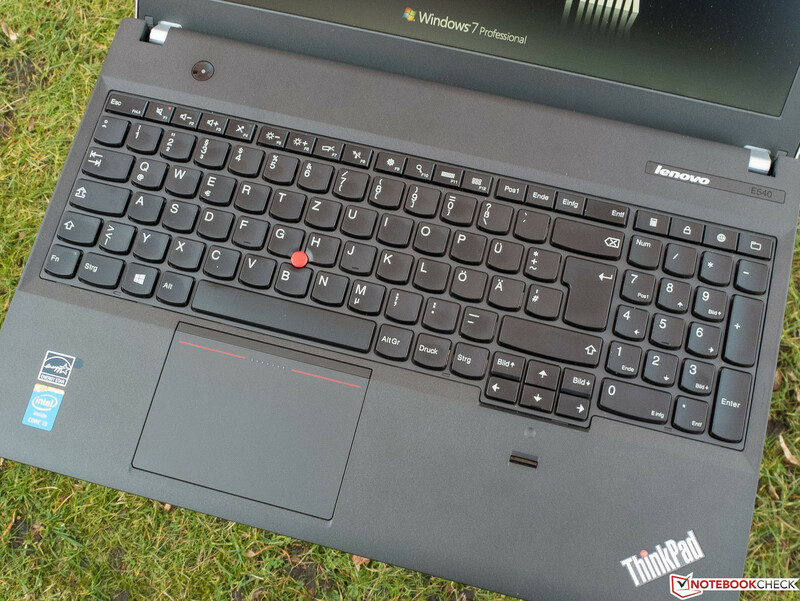 Lenovo touts their time-tested ThinkPad keyboard as one of the standout features of the E540. The keyboard supposedly even satisfies the professional user - and in our opinion, that claim is true. We are happy to report that this is a keyboard with decent key travel - we have not seen one in a while. The keys are slightly indented and not completely smooth, which can make touch-typing a little easier. The actuation point is easily felt and there is some shock absorption built in when the keys are depressed, which is supposed to make typing sessions less tiresome. The noise level of the keyboard is well controlled. Some keys have their own status LED - quite ambitious, we think - although we would prefer a backlit keyboard instead. To make entering numbers easier, the E540 also features a numeric keypad. 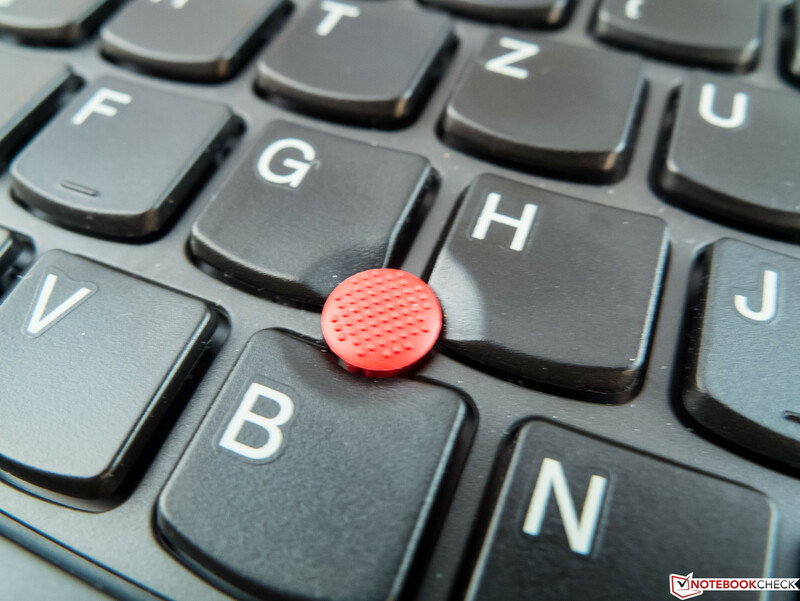 No ThinkPad is complete without the familiar red TrackPoint. Usability is in the eye of the beholder: some will like it, others will not. The TrackPoint does not get in the way for those who do not want to use it, however. We do not know what to make of the rather unusual layout of the keys, although it is something most will be able to get used to. 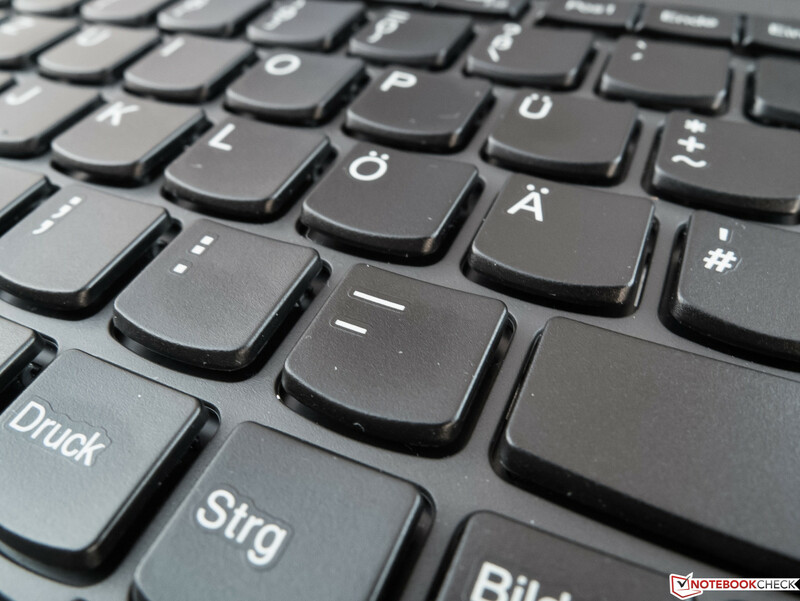 In particular, we do not like the fact that the Ctrl key is not at the far bottom left of the keyboard, as the Fn key is in that position. The placement of the Prnt Scrn in the bottom row and the lack of the pause-button are also not optimal. 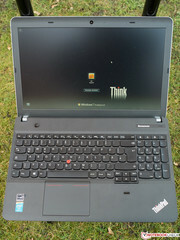 Even so, using the keyboard of the ThinkPad E540 is a pleasing experience. 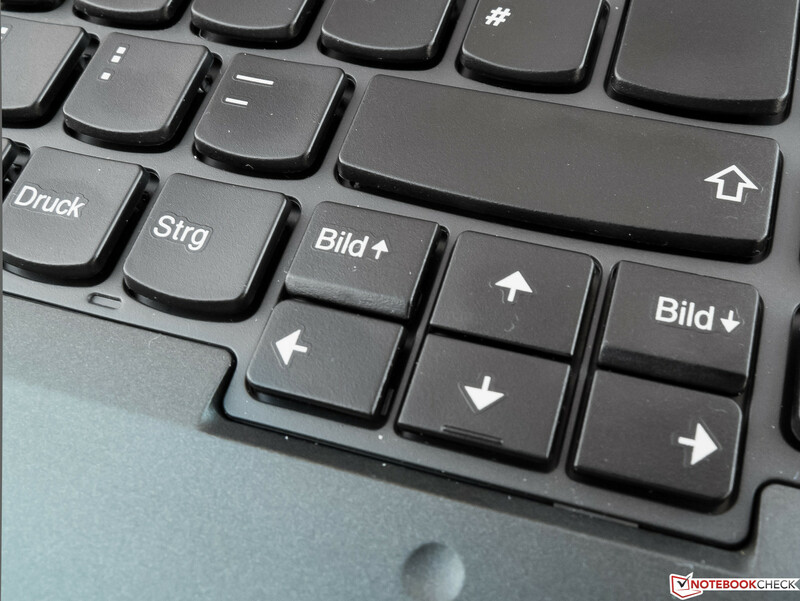 We were really impressed with the ClickPad, which features a slightly rough surface, can recognize up to four fingers, and is highly configurable. Accuracy and sensitivity (can be configured) of the large surface are close to perfect. During our time with the notebook, we never had any issues with dropouts or clicks not being recognized. The mouse buttons are integrated into the surface and feature optimum resistance and haptic feedback. 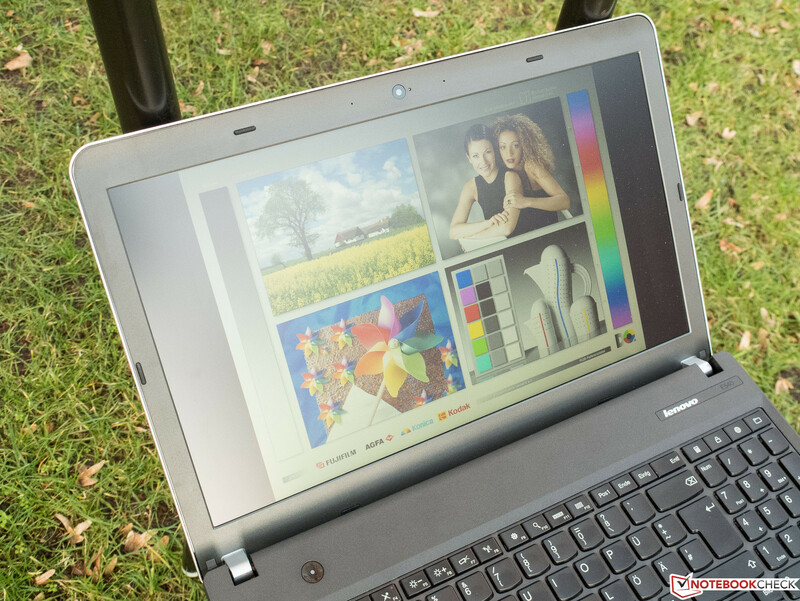 A tiresome topic, which does not just concern less expensive notebooks like the Lenovo ThinkPad E540 20C60041 we are reviewing here, is the quality of cheap and low resolution TN panels. 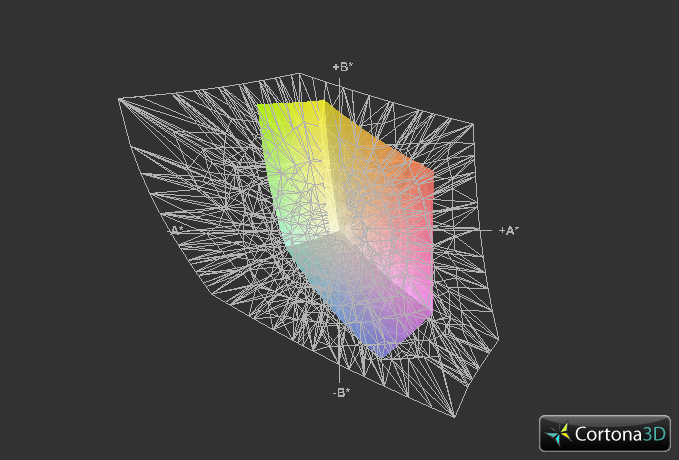 Our review model features 1366x768 pixels (16:9), which translates to only 100 ppi. At least the panel is non-glare and colors are subjectively fairly decent after calibration. Lenovo also offers models with a 10-point Full HD touchscreen, although we could not find more information about that particular display. The maximum brightness of 233 cd/m² is also nothing to get too excited about, although at least the full brightness is available when the notebook is running on battery. The low brightness and the less-than-stellar contrast ratio of 289:1 lead to a fairly high black value of 0.8 cd/m², which in turn means that solid black (RGB 0,0,0) appears as a gray instead. The brightness distribution is quite OK and screen bleeding is not an issue. 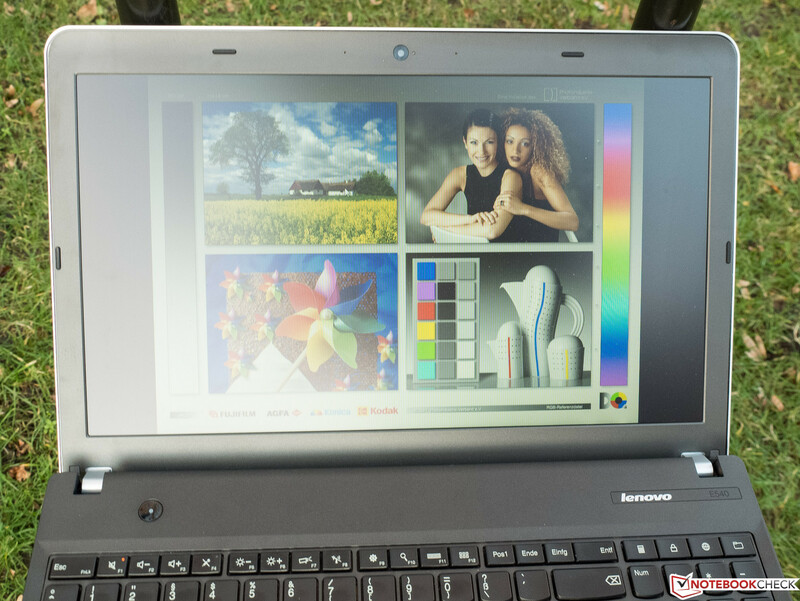 The HP ProBook (display rating: 69%) is not any better; the Dell Latitude 3540 with its Full HD display panel scored 79% and pulls ahead here, although its screen is not really much brighter than the E540's. 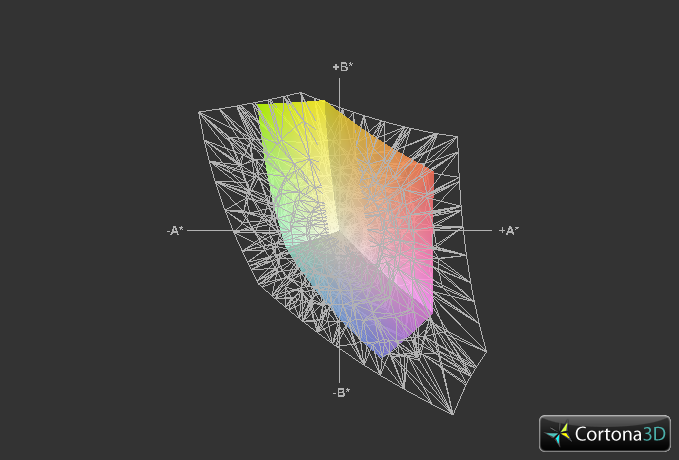 Coverage of the professional color spaces is important for (semi) professionals and a good reason not to choose the E540. Even the smaller sRGB color space is not covered at all and AdobeRGB coverage is significantly worse at only 35%. Color accuracy as shipped is also far from stellar, since both ColorChecker and Grayscale show average DeltaE deviations of over 12. The net result is a display with a distinctly bluish cast. 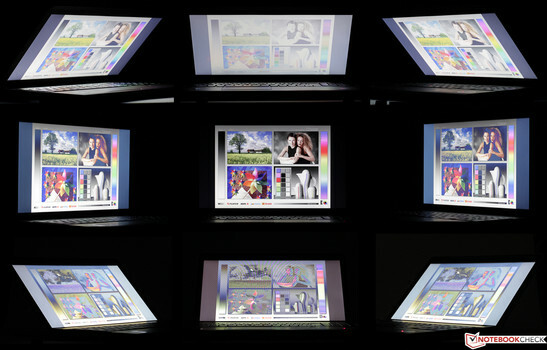 Non-glare displays do well outside, but the low brightness is an issue. Most of the time, we were able to find a suitable display position and could work outdoors without major problems. ...it's a bit more difficult. Direct sunlight needs to be avoided. Viewing angle stability is low as expected. The panel does best when viewed from above, although contrast is reduced and the picture washes out. 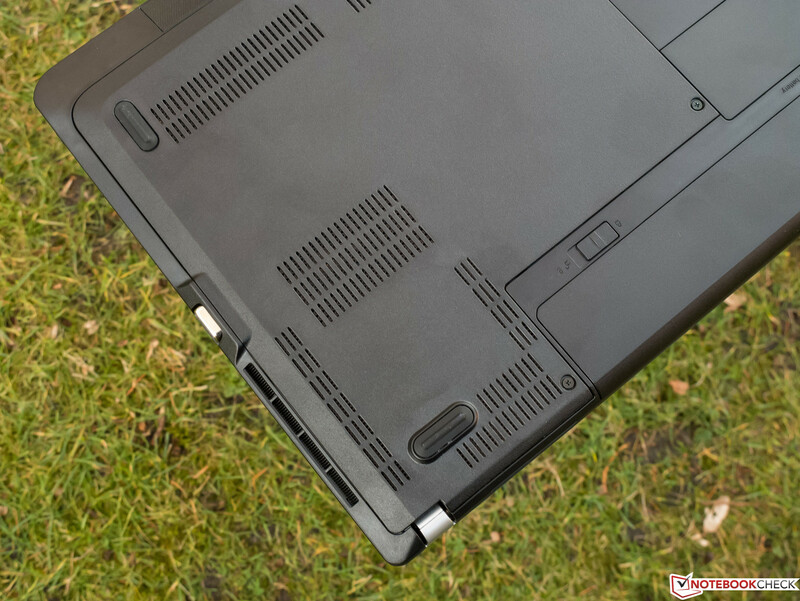 From below and the sides, the display of the Lenovo ThinkPad E540 20C60041 is even more affected by quality deterioration than the TN panels of other current notebooks. The user needs to either refrain from moving, or else accept the diminishing quality. 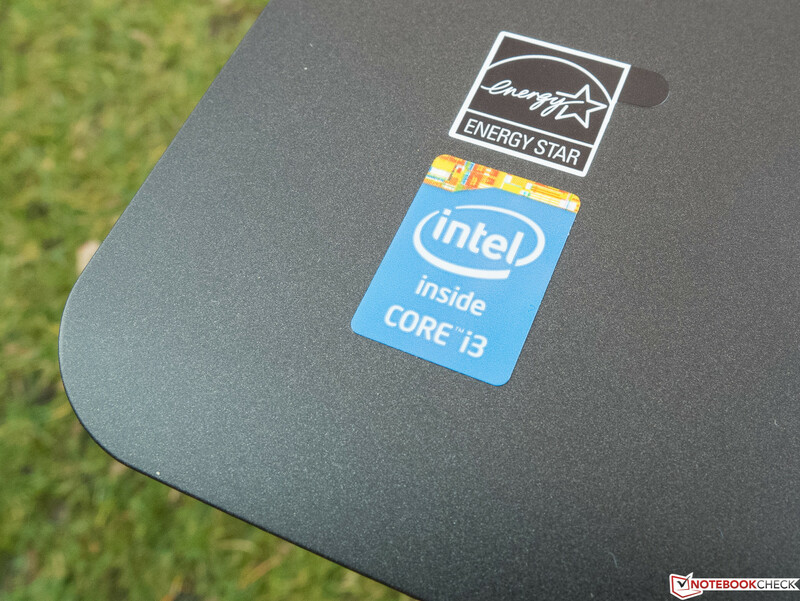 Our review model shipped with an Intel Core i3-4000M processor (2 x 2.4 GHz, no Turbo, Hyperthreading, TDP 37 W), which is sufficient for notebooks which are not primarily running on battery. 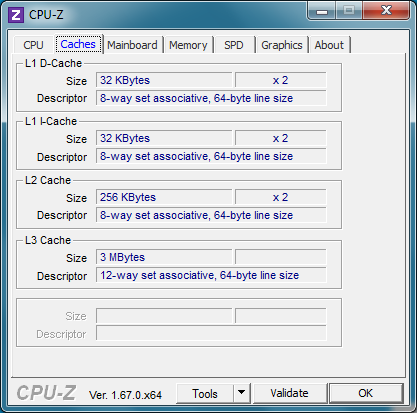 Typical office-type software does not task the CPU much and even more resource-intensive programs like Adobe Photoshop Lightroom 4 do not pose a problem. Users who do not work with overly large files in Photoshop or use the notebook for video editing should also not run out of the 4 GB of available RAM. 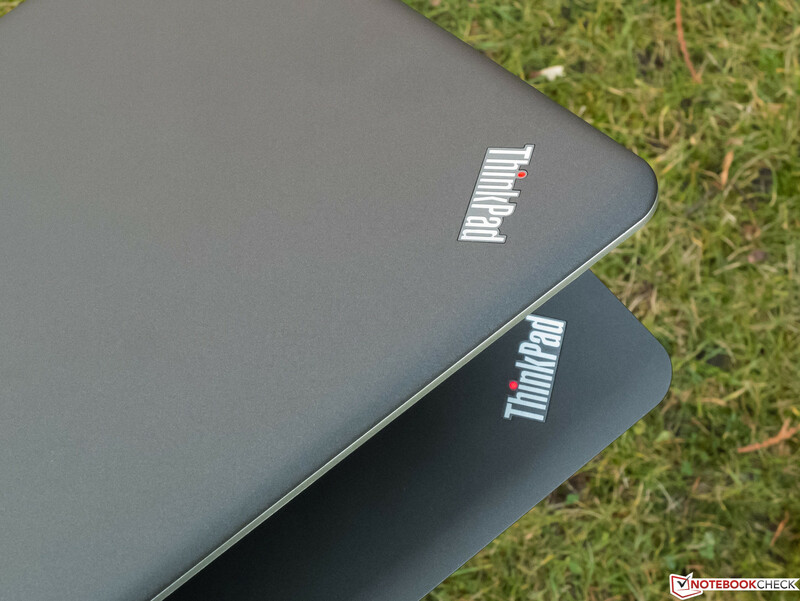 Because of its TDP of 37 Watts, the 22 nm Haswell CPU is only suitable for larger notebooks from 14 inches on up, since a more potent cooling system as well as more powerful battery are needed. Given that, we recommend a notebook with one of Intel's ULV processors - identifiable by the "U" at the end - for those users needing to operate away from outlets more frequently. 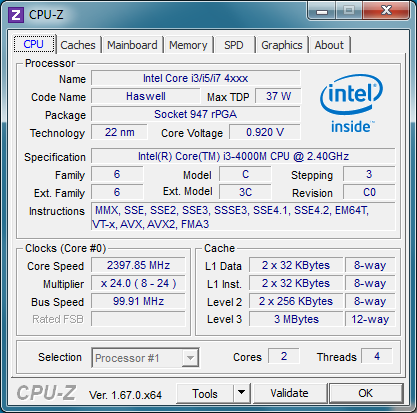 The Core i5-3437U (Ivy Bridge, 2x 1/9-2.9 GHz, Hyperthreading), to give an example, has a TDP of 17 Watts and allows for lighter and smaller notebooks with a better battery life. During the Multi-CPU portion of the Cinebench R10 and R11.5 benchmark tests, the i3-4000M only has s small advantage when compared to the Intel Core i5-4200U (Dell) or the older i3-3120M (Ivy Bridge, 2x 2.5 GHz, Hyperthreading, TDP 35 W) used in the HP ProBook. 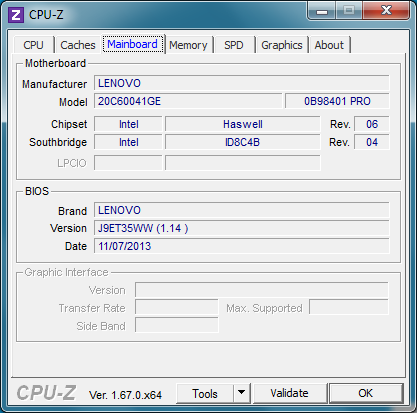 All three processors offer comparable performance. 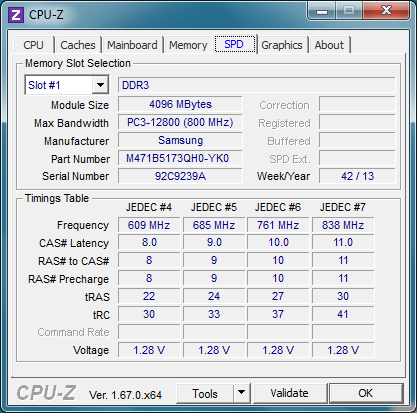 When only one core is utilized, the i3-3120M trails the other two CPUs by sometimes-significant margins. 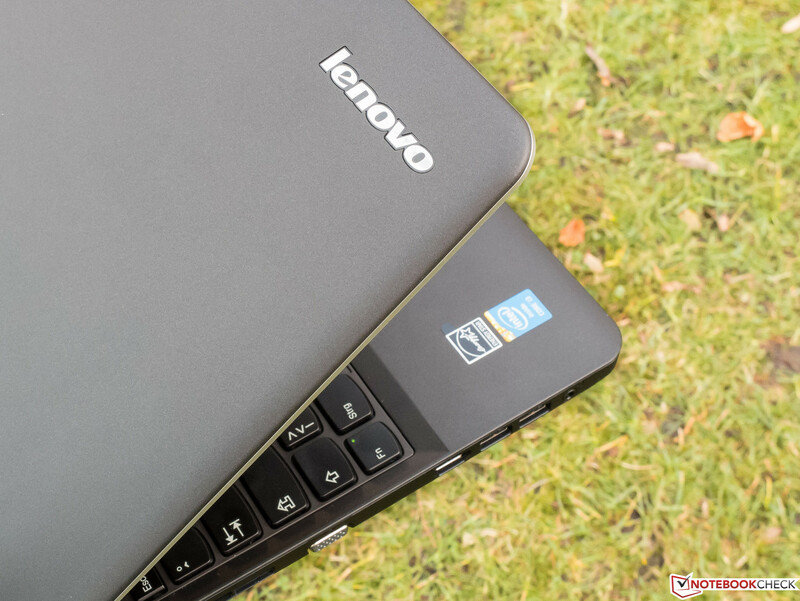 Overall, our Lenovo performs exactly like other notebooks with the same CPU and does not suffer from a decrease in output power when running on battery. The results of the benchmark tests PCMark Vantage and PCMark 7 are almost identical to the ones recorded for the HP ProBook 650 G1 H5G74E, which has the same CPU/GPU combo and hard drive. 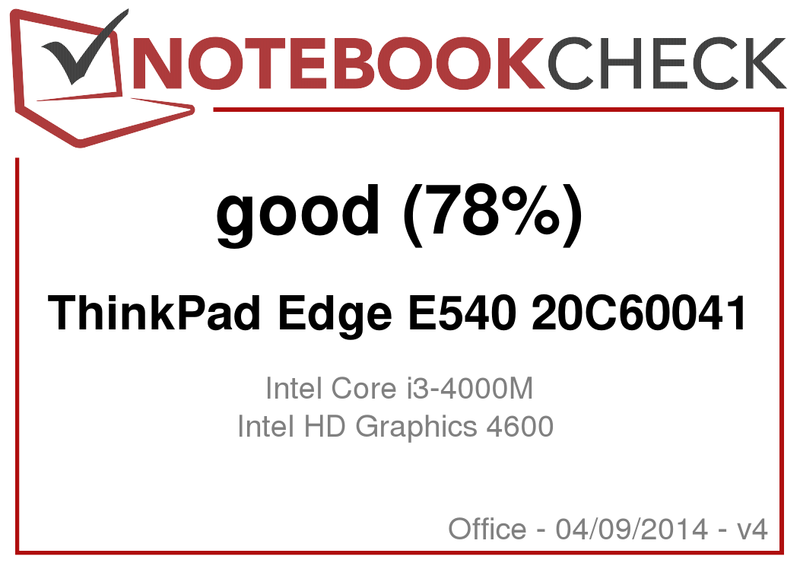 The reason the ThinkPad E540 does better overall and in the productivity-section of the PCMark Vantage test than either the Dell Latitude and HP ProBook 450, can most likely be attributed to the much faster HDD of the review notebook. The newer PCMark 7 benchmark shows the Lenovo and Dell notebooks to be quite comparable; the HP ProBook 450, on the other hand, is 13% (overall score) and 20% (productivity score) slower. 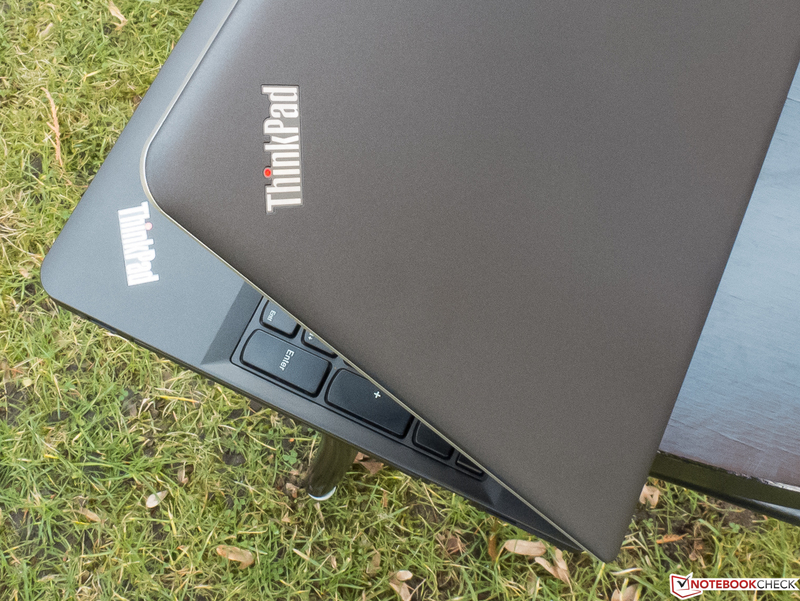 Subjectively, we had no issues with the performance of the ThinkPad. An SSD (more so than a faster CPU) would allow for quicker application and system starts, although we did not have to be overly patient with the notebook despite its standard HDD. We do not see 7200-rpm drives very frequently any more, which to a large extent has to do with their higher power consumption compared to 5400-rpm drives. The main advantages of a faster spinning drive are the shorter access times and the faster transfer rates. The HDD Lenovo uses - a Hitachi Travelstar Z7K500 HTS725050A7E630 - features a sequential read speed of 110 MB/s according to CrystalDiskMark, which is a very good value. Other notebooks with the same drive read large data blocks at up to 22% faster, however. As it stands, this particular Hitachi HDD is one of the fastest conventional drives in our database. HD Tune confirms the excellent results. Theoretically, the faster 7200-rpm drive should guarantee the E540 an advantage as far as access times and the results of the CrystalDiskMark Read 4k QD32 benchmark test (supposed to simulate system and program starts) are concerned. According to the diagram below, these expectations are not met. As expected, the on-chip GPU Intel HD 4600, which handles the graphics and has to share the RAM with the CPU, is not as powerful as the dedicated AMD Radeon HD 8850M with 2 GB of video RAM used in the Dell Latitude 3540, but still outperforms the Intel HD 4000 in the HP ProBook 450-H0V92EA. 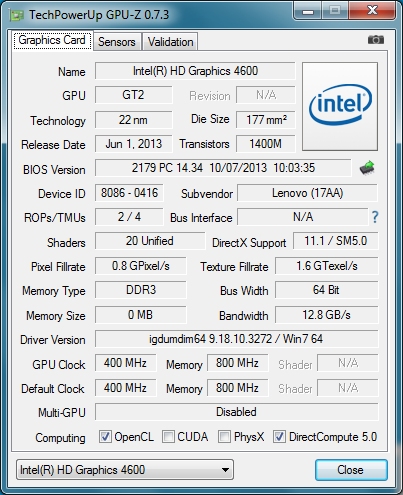 The more complex the application is, the larger the difference between the HD 4600 and the Radeon GPU becomes. During the comparatively simple 3DMark 2013 Ice Storm benchmark, the review notebook is able to keep up, but then falls behind by more than 220% when tasked with the more demanding Fire Strike test. The slight performance advantage of the HP ProBook 650 with identical hardware might be due to different drivers. As per the benchmark table below, some current and more demanding games can be played at decent frame rates with the settings on low; medium settings are generally out of the question though. Please take a look at our benchmark list in the FAQ section, as it shows the performance of many mobile graphics cards and provides more information about the various games. It does not really matter if the fan is running or not and at what speed: the ThinkPad Edge E540 20C60041 is only about 4 dB(A) louder when under full load compared to idle. During our time with the notebook, we were barely able to hear it over the ambient noise, which makes the E540 supremely suited for those who are noise-sensitive. The HP is also nearly silent, while the Dell's maximum dB-result is higher by about 23%. 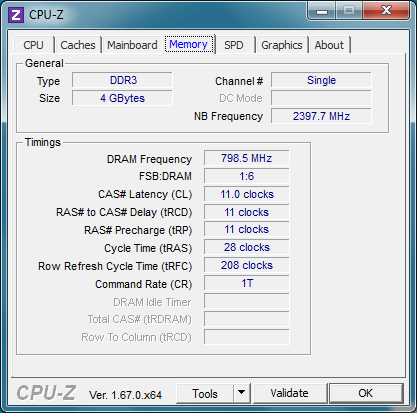 A constant 2.4 GHz - even during the stress test. 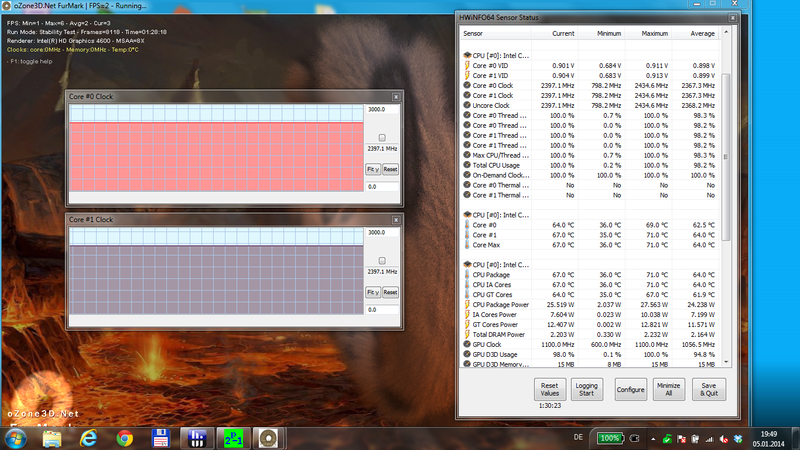 The surface temperatures are never an issue, as the notebook stays cool even during the stress test (Prime95 + FurMark). Even after more than one hour, temperatures did not exceed 38 degrees C (104 degrees Fahrenheit); we also did not encounter throttling at any point of the test. Since hot air exits to the side, placing the notebook on the lap also poses no problems. A positive surprise: Lenovo makes good use of the available space and installs a decent speaker system, which gets quite loud and produces better sound than those of most competitors - especially considering the price point. Bass is noticeable and instruments sound like they should at least from the middle frequency range on up. Spatial sound and a certain dynamic presence are responsible for a decent listening experience overall. There are no annoying sound fluctuations, although lower tones are distorted somewhat at maximum loudness levels. Audiophiles will not be happy of course, but the E540 is certainly good enough for movies or music once in a while. Although the speakers fire downwards, we liked the sound better when we had the notebook on our lap. 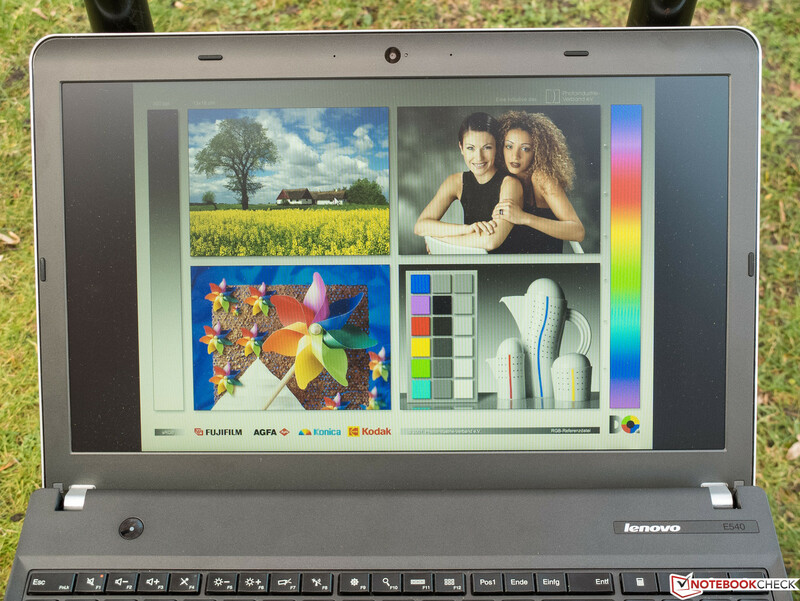 Compared to other 15.6-inch business notebooks, the Lenovo E450 has low power requirements. During idle, the notebook never requires more than 8 Watts, which is very good. Under load, the ThinkPad consumes 39 Watts, which is about average. Not ideal, but also not a deciding factor, is the power consumption of 0.2 Watts when the notebook is turned off. Long battery life was probably not a major concern when the E540 was designed. This is not a major drawback, since neither the size nor the weight of the notebook make it an ideal mobile companion in the first place. Compared to other current business notebooks with an identical form factor, the battery life of about 4.5 hours during the WLAN test (ca. 150 cd/m², energy-savings profile, Bluetooth off), which simulates web browsing via a script, is just about average. The Dell Latitude 3540 lasted for 5.5 hours, the HP ProBook only 3 hours and 20 minutes. With the wireless turned off and the screen brightness turned all the way up, we were able to watch DVD movies for about 3 hours. As mentioned under the section "Accessories", Lenovo also offers an optional battery with a higher capacity. 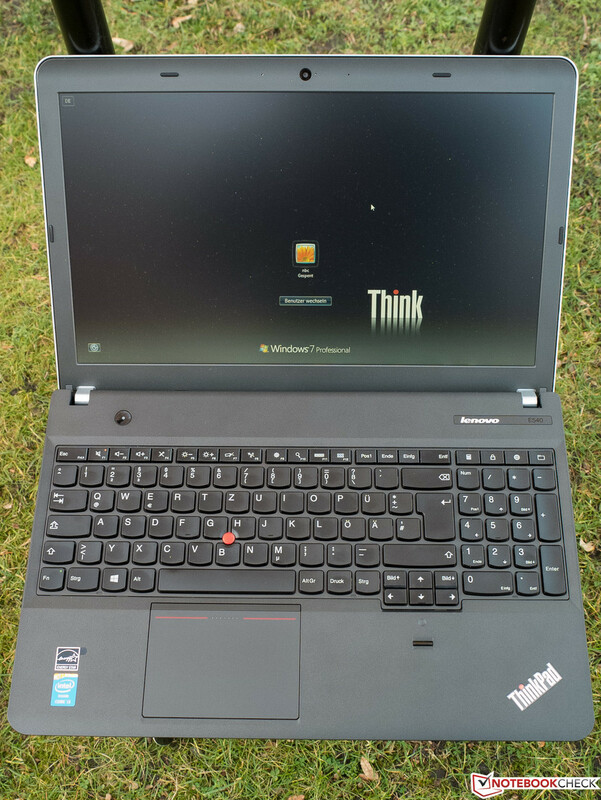 The lower quality of the display notwithstanding, the Lenovo ThinkPad Edge E540 20C60041 is a well-rounded business notebook. The performance is more than adequate for the typical workload, and those needing more power can purchase the notebook with a faster CPU, SSD, dedicated Nvidia GPU, higher resolution display, touchscreen, and larger-capacity battery. 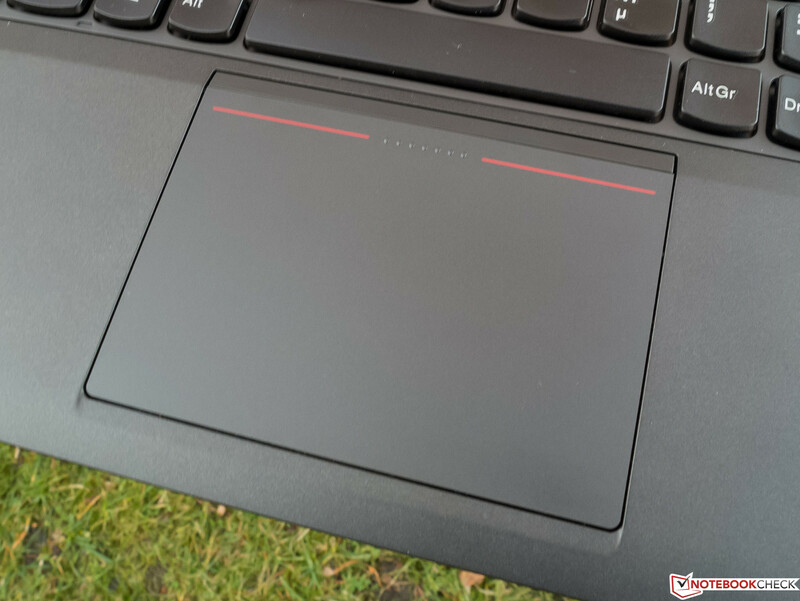 The touchpad is top notch and the keyboard is, aside from the unusual layout, very usable. 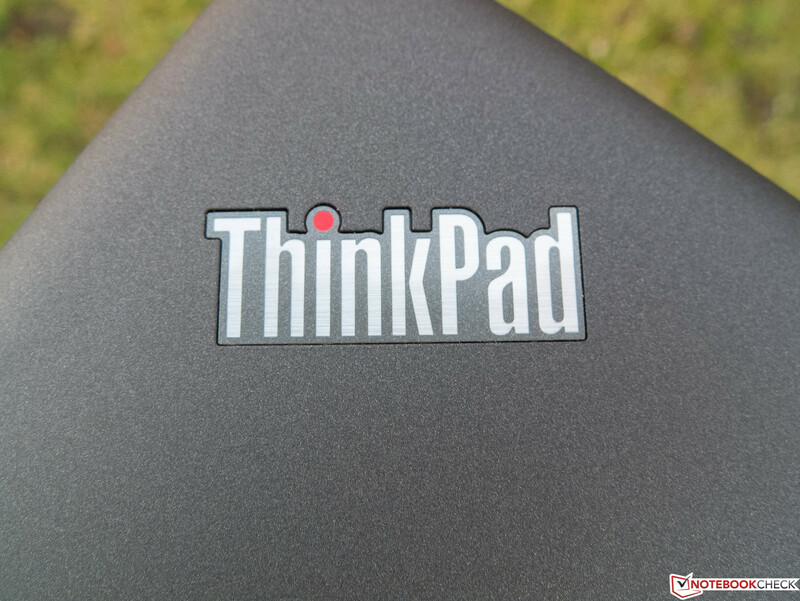 There is no denying that Lenovo put a lot of emphasis on developing ergonomic input devices for their ThinkPad line. A supremely long battery life or low weight were of less importance and certain security features associated with mobile notebooks are lacking - presumably since most users will not carry a 15.6-inch notebook around with them all the time anyway. 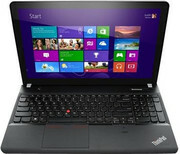 The ThinkPad E540 is also very stable, remains almost inaudible, and features a simple, yet business-like design. 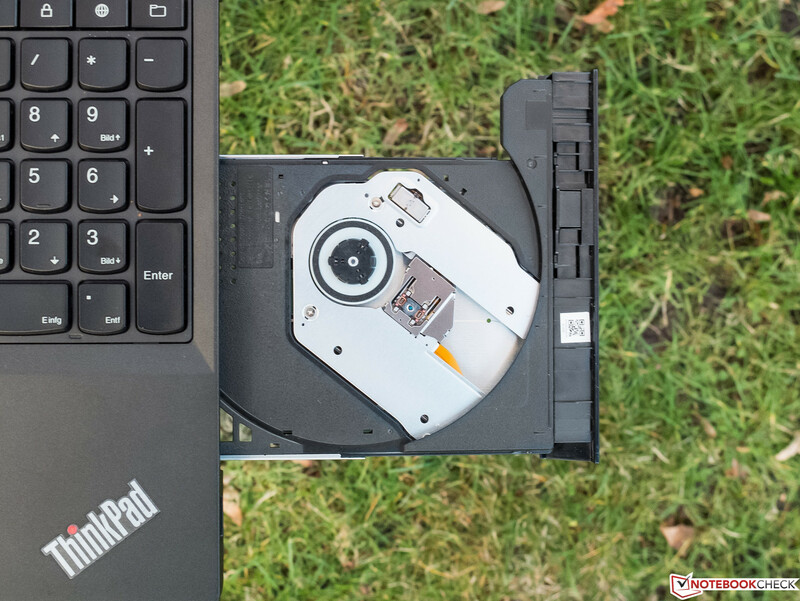 Users looking for a notebook with a Full HD display with good contrast, longer battery life, and included security software, should consider paying the price premium and opt for the Dell Latitude 3540 instead. One caveat: Dell neglected to include HDMI out, which means that external monitors and TVs need to be hooked via the analog VGA port. 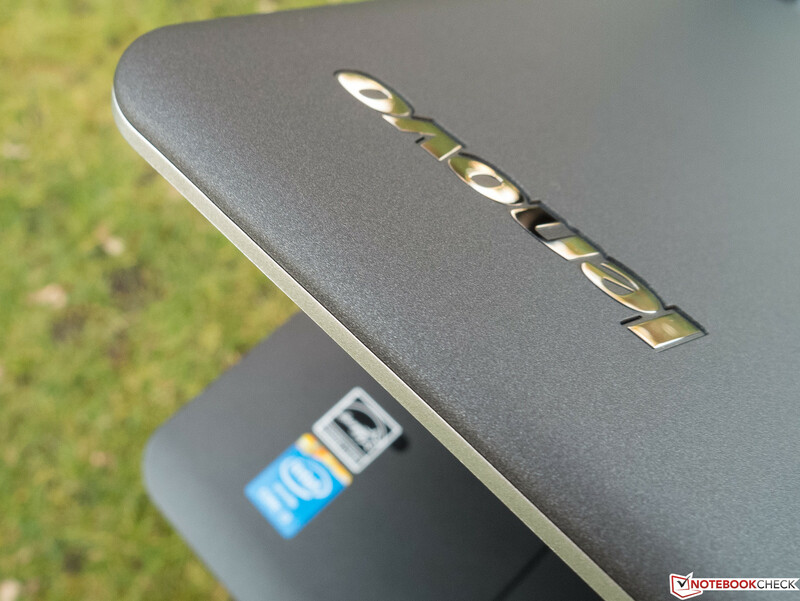 The HP ProBook 450-H0V92EA is compelling because of its low price; otherwise, we do not have a lot of reasons to recommend it over the other notebooks in our comparison. ...is actually a simple gray. ...which still attracts fingerprints, despite Lenovo's claim. ... are the only visual accents of the E540. ...and a detail shot of the keyboard. The layout is a bit unusual, but we got used to it. A business notebook isn't complete without a number pad. The keys have a lot of travel. 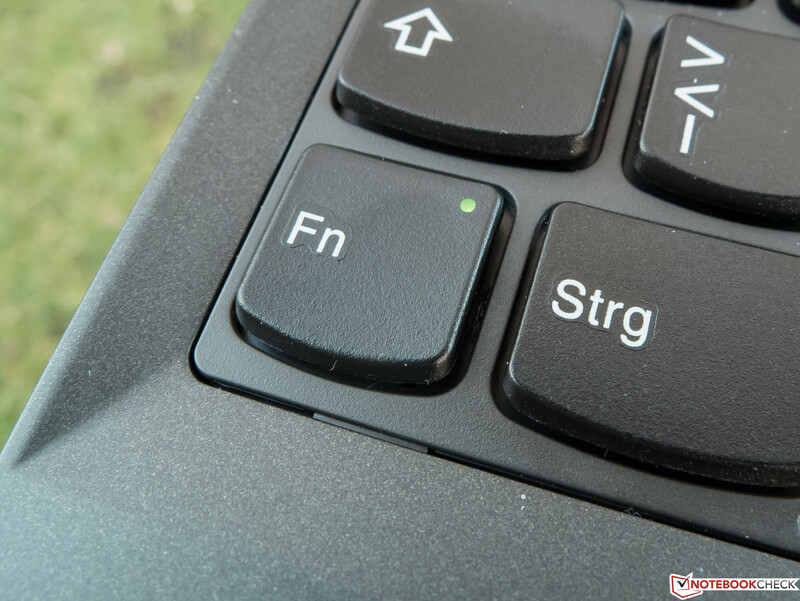 Why is the Fn key in the position of the Ctrl key? Those who are used to it will like the TrackPoint. The lid is solid and doesn't deform when pressure is applied. ...but can't prevent the display from bouncing. It takes two hands to open the lid; the maximum angle is 135 °. The battery can be swapped out with a higher-capacity one. On the right is the OneLink port, which also functions as a power jack. Keyboard and touchpad allow a stress-free operation. A good display and a backlit keyboard would be nice features. What Lenovo calls "Midnight Black" is not black at all - a misleading statement. Lenovo's claim that soft-touch surfaces do not show fingerprints is only true when it's dark.